Best Shutter Company manufactures and installs a variety of Security and Storm shutter systems for residentail and commercial application. 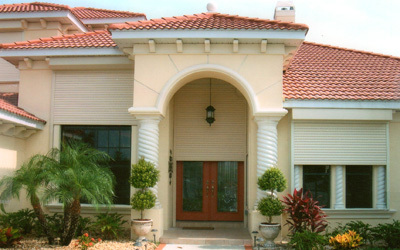 We pride ourselves in providing the best quality highest rated shutters available today. Family owned and operated since 1987 Fred Henderson and sons go the extra mile to make sure you receive the best quality products available on the market today. Please view photos of completed parojects in our Gallery of images. Don't wait for Hurricane Season! Have year-round Protection and Security! Installed by The Best In Brevard County!